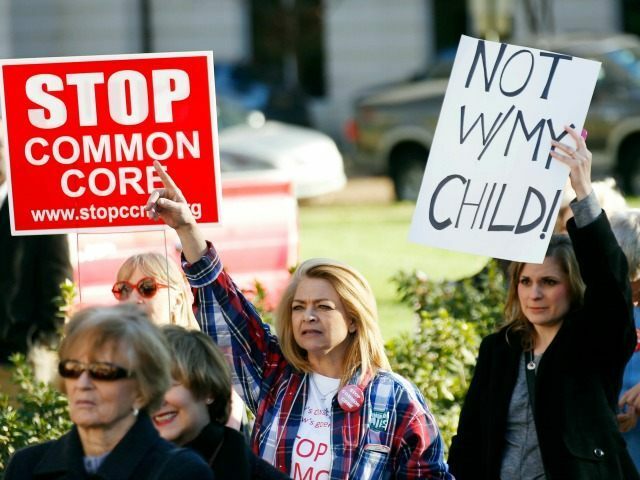 The intense unpopularity of the federally funded Common Core math and English Language Arts standards and their associated tests isn’t stopping states from further signing on to the federally driven “green” Common Core science standards, a program which will ensure children are well-versed from an early age in politically correct climate change ideology. Released in April of 2013, the Next Generation of Science Standards (NGSS) have already been officially adopted by 13 states and Washington, D.C. Their promoters claim they are another “state-led” endeavor, “managed by Achieve,” the same progressive nonprofit that was funded by the Bill and Melinda Gates Foundation to develop and promote the Common Core standards. The 13 states that have adopted NGSS are: Rhode Island, Kentucky, Kansas, Maryland, Vermont, California, Delaware, Washington, Nevada, Oregon, Illinois, New Jersey and West Virginia. Achieve couches the goals of NGSS in central planning “workforce development” ideology, the philosophy behind the Common Core initiative that has led to its strong support by the U.S. Chamber of Commerce. Workforce development has also been a major goal for former and current governors such as Jeb Bush (R) of Florida, Scott Walker (R) of Wisconsin, Jack Markell (D) of Delaware, and Mike Pence (R) of Indiana. “The vision laid out in the Framework identifies what students need to know and be able to do to be a functional citizen, which includes being scientifically literate and an effective member of the U.S. workforce,” states Achieve. As Tice notes, in 2011, the NRC published “America’s Climate Choices,” a report that launched its efforts on global warming, and set up climate change as settled science bolstered by what it says is significant evidence that the phenomenon is caused primarily by humans and their activities. The most important justification for the framework’s increased emphasis on ESS is the rapidly increasing relevance of earth science to so many aspects of human society. It may seem as if natural hazards, such as earthquakes and hurricanes, have been more active in recent years, but this is primarily because the growing population of cities has heightened their impacts. The rapidly rising number of humans on the planet—doubling in number roughly every 40 years—combined with increased global industrialization, has also stressed limited planetary resources of water, arable land, plants and animals, minerals, and hydrocarbons. Only in the relatively recent past have people begun to recognize the dramatic role humans play as an essentially geological force on the surface of Earth, affecting large-scale conditions and processes. It is clear from the framework that fossil fuels are to be viewed as a source of energy that is incompatible with being “an effective member of the U.S. workforce” and a model citizen of the world. Human activities, such as the release of greenhouse gases from burning fossil fuels, are major factors in the current rise in Earth’s mean surface temperature (global warming). Reducing human vulnerability to whatever climate changes do occur depend on the understanding of climate science, engineering capabilities, and other kinds of knowledge, such as understanding of human behavior and on applying that knowledge wisely in decisions and activities. As a result of groups like the National Academy of Sciences and NRC that advise the federal government frequently, many of the resources and materials used to teach the curricula associated with the NGSS are from federal agencies such as the EPA, the National Oceanic and Atmospheric Administration, and the Energy Department. Tice notes that his home state of New Jersey’s Department of Education has adopted the climate-change learning concepts just about word for word, which means students in that state will only be exposed to a single perspective – one that is tied to leftist economic ideology. Additionally, the NGSS’s presentation of climate change as settled science is inaccurate, and, as is, students are not exposed to other views of the issue.